Congratulations to the winning author, Tom Howard! His story, "American Rag Story," was selected by Manuel Gonzales. Manuel noted that this piece was "funny and tragic and formally interesting," and he also liked that "it didn't take itself too seriously." Tom Howard's work has appeared recently in ARDOR, Storm Cellar, Quarter After Eight, Digital Americana and elsewhere. He lives with his wife in Arlington, Virginia. Tom will receive a $500 prize, copies of the issue, a copy of Manuel's book, and the winning story will be published in the next issue of The Conium Review, due out later in 2014. This year's finalists were Amy Blakemore, Jack Granath, D. V. Klenak, Jan LaPerle, and Christine Texeira. Honorable mentions include Colleen Burner, Julie Curwin, Will Kaufman, and Kendall Klym. The Conium Review editorial staff thanks everybody who submitted and supported this contest. We look forward to announcing next year's judge soon, and we hope many of you will consider submitting again in 2015. The 2014 Innovative Short Fiction contest has ended, and Manuel Gonzales has selected the winner. Check this page regularly, or sign up for our newsletter to get information on the 2015 installment. The winning story will be published in The Conium Review's next issue. The winning author will receive $500, five copies of the issue, and a copy of the judge's latest book. Innovative short fiction should take risks that pay off. Don’t tell us a story we’ve already heard before. Show us something new with your subject, style, or characters. Make sure your writing has a "wow" factor. This year’s contest judge is Manuel Gonzales. 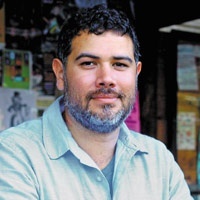 Manuel the author of The Miniature Wife (Riverhead Books, 2013), and he is the executive director of the Austin Bat Cave, a nonprofit creative writing center for children. If you are a family member, coworker, or student of the judge, you are ineligible for this contest. Submissions must be received between December 15th, 2013 and March 15th, 2014. Everybody who submits to the contest receives a free digital download of the issue. All submissions must include a $15.00 entry fee. The winner will be announced by May 30th, 2014. If no winner is selected, all entry fees will be refunded. All manuscripts must be submitted through our Submittable page between December 15th, 2013 and March 15th, 2014. Your submission may include any combination of flash fictions or short stories up to 7,500 total words. Upload your submission as a single manuscript file. Your name should not appear anywhere on the manuscript. The judge reads blind, and he will recuse himself from considering any manuscript where the writer is identifiable. In the "Biography Statement" field, please include a two or three sentence third-person bio. This bio will not be viewable by the contest judge. If you win the contest, your bio appears inside the published issue of The Conium Review along with the winning story. 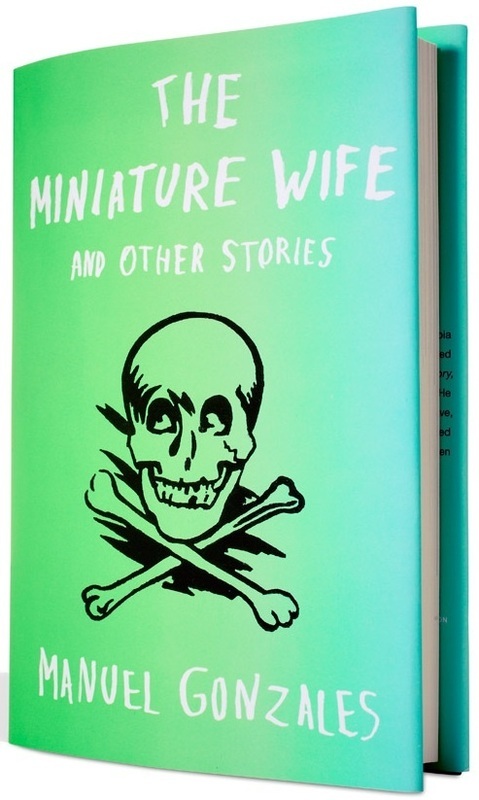 Manuel Gonzales is the author of The Miniature Wife and Other Stories (Riverhead Books, 2013). His novel, The Regional Office is Under Attack!, is forthcoming from Riverhead Books. His fiction and nonfiction has appeared in One Story Magazine, the Awl, esquire.com, McSweeney’s Quarterly Review, Open City, Fence, i09.com, FiveChapters.com, and in the collection of essays, Man with a Pan (Algonquin Books, 2011). Manuel has taught creative writing for at Gotham Writer’s Workshop and elsewhere. He is the current executive director of Austin Bat Cave, a creative writing and tutoring center for children six to eighteen years old. Manuel earned his MFA in Creative Writing from Columbia University.